This is my last week as an employee of the Pittsburgh Public Schools. 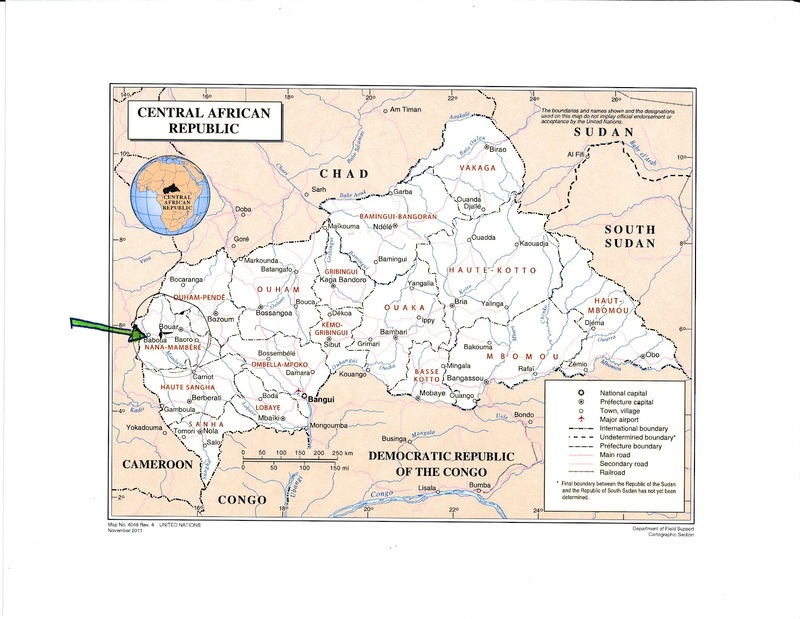 the up-coming changes that will be necessary as I move to the Central African Republic. 1 hour from the Cameroonian border in the western part of the country. What did it used to be called??? The country has been called the CAR since its independence in 1960 except for a brief period as the Central African Empire from 1976-79 (when Bokassa decided that being President-for-Life wasn’t enough and crowned himself emperor…). Before that it was part of French Equatorial Africa and before that part of Ubangui-Shari… So, if you haven’t heard of it, it is more likely because it is a small, poor country that rarely is in the news in the US. The country is about the size of Texas. 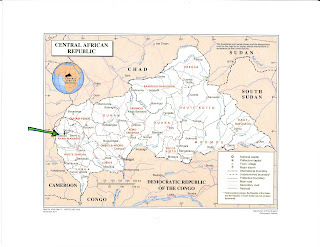 The capital is Bangui, which is in the southern part of the country across the river from DR Congo. Few people live in the eastern part of the country. There are two seasons – rainy and dry. It gets hot, but is mostly dry. There is a 5 hour time difference between Baboua and Pittsburgh (at least now while we are on summer time. They don’t have summer time because there is little difference in the length of day because it is so close to the equator – maybe ½ hour during the course of the year. That means there’s about 12 hours of light and 12 hours of darkness each day. I will be an Education Advisor for the programs run by the ELCA (national Lutheran Church in the USA). So, I will not be working in the national schools or for the Central African government. I will be based in Baboua. For the first 6-12 months, I will be helping the Central Africans running the existing programs to assess them. Then, I will develop my job/role to help them meet their goals using the skills I have. Design my own job! What a chance. Watch for future blog posts for details about what the job will actually be like. The national African language is Sango. I learned a little of this language when I was in the CAR as a Peace Corps Volunteer 30 years ago. (I don’t remember much, but hope to learn more soon. I can now say hello, give my name, count to 10 and say I am going home!) The country was colonized by the French, so that is also an official language. I do speak French. The region where I will be living is the home of the Gbaya (or Baya) people. Maybe I will be learning Gbaya instead of Sango. Don’t know that yet! Will you have modern conveniences? Yes, but… Baboua is a town of about 10,000, I am told. I don’t know what is available in the town. I have been told that the house where I will be living (provided by the ELCA) has electricity several hours a day. I think there may be solar panels on the roof, but don’t have details yet. 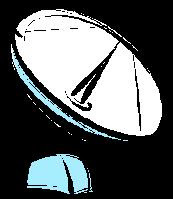 The ELCA has also recently installed a satellite dish so I will have Internet access – probably when the electricity is available! I hope to have Skype access, but have not details about that yet. I guess I will have running water, but am not sure about that yet. Are you excited or apprehensive? Yes. I am pleased to be embarking on this adventure in which I can learn a lot personally and share some of my knowledge with the people I meet there. So, I am excited. On the other hand, there are many unknowns, so there is also some apprehension. I hope excitement outweighs apprehension after the orientation I will have in July (2 weeks in Toronto and 1 week in Chicago and Kenosha, Wisconsin). Please send your comments and questions! I look forward to having “conversations” with you through this blog. Hi Susan, what a fantastic adventure. I am very excited that you will be sharing your adventure with uis via your blog. Sounds awesome. I am excited for you (and apprehensive)! I give you lots of credit. So glad you will be blogging so we can follow your adventures. Look forward to Skyping with you and hopefully getting a tour of your new surroundings!! Hi, Susan. Found your blog completely by accident. I'm a native Pittsburgher now living in Baton Rouge, LA. Our synod, the Texas Louisiana Gulf Coast Synod is a partner synod with the Evangelical Lutheran Church in CAR. One of the members of my congregation, Charles Short, has traveled there once and will be going again later this year. Our congregation is a big supporter of the Village Education Programs in CAR, and we've donated well over $5,000 over the past couple of years. Looking forward to reading your blog. If you meet anyone from the TLGCS, tell them I said to take good care of you! I'll be praying for safe travels. I am going to the orientation soon. One step closer to the new job/experience. Susan, I have finally gotten around to checking out your activities in Africa. I am enjoying it very much.